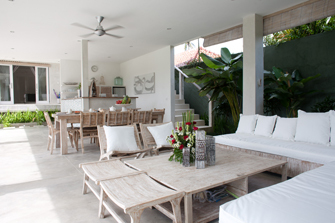 A charming house for rent in Bali known as villa Lulan is offering you a home holiday away from home. 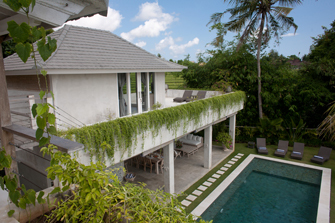 The villa is situated in quiet and secured area of Umalas with rice field view. 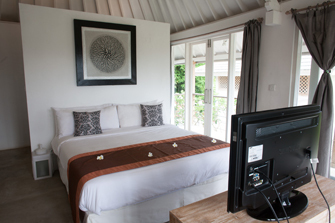 The villa is not self-service stay; there are staffs that are happy to help you during your stay. 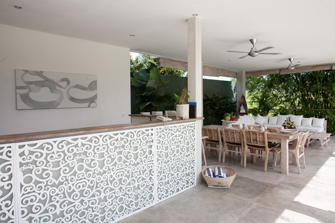 They do daily cleaning, prepare breakfast and changing linens. 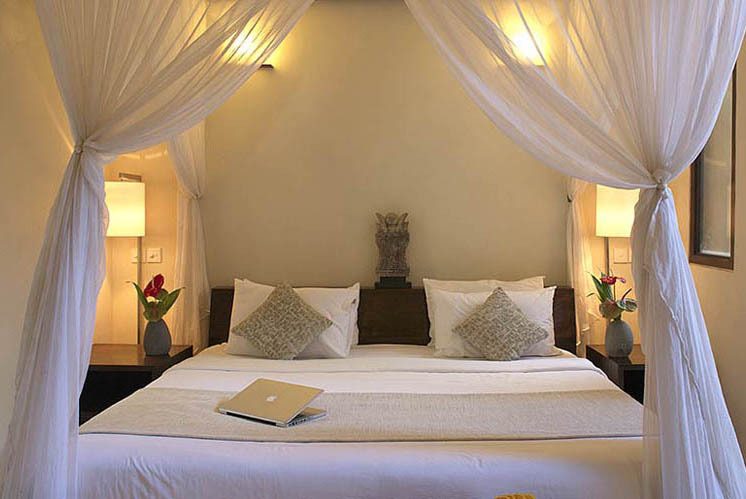 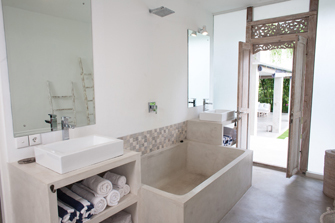 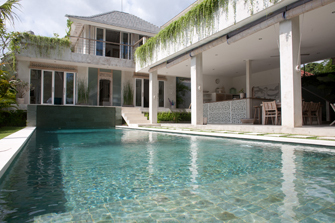 The services and facilities of the villa ensure your holiday in Bali will be special. 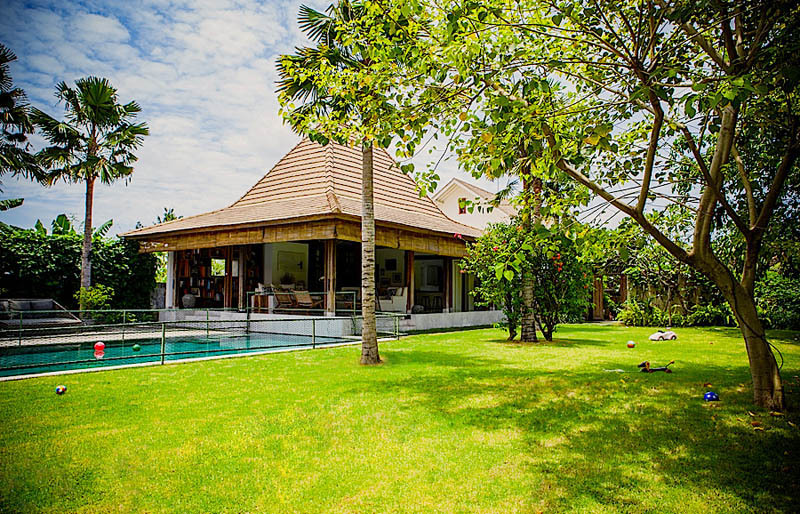 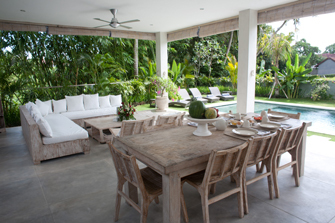 Villa Lulan is suitable lodging in Bali for a group of friends or family. 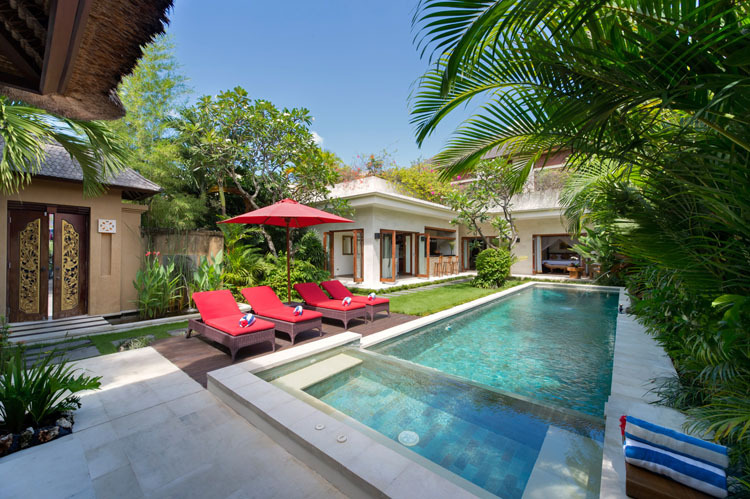 The property features 4 bedrooms with private bathroom, open living area, lush garden and private swimming pool. 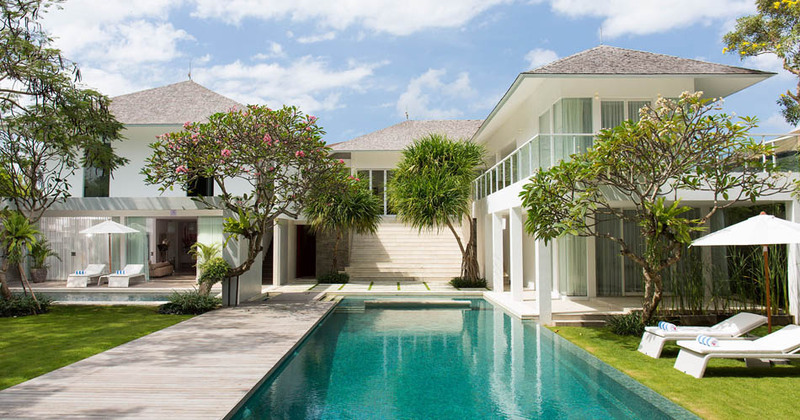 There are two main buildings as the first one is where the three bedrooms laid on two floors. 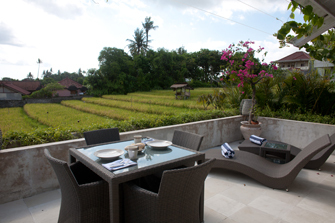 They are facing the swimming pool and overlooking to rice field view. 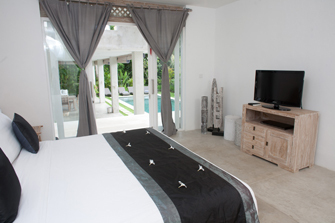 The second building compromises of open living, dining and the kitchen on the ground floor and the master bedroom connected to private en suite bathroom and large balcony are on the second floor. 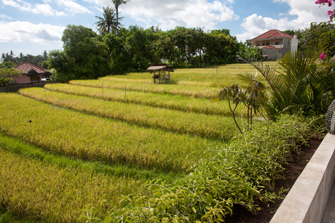 From this area, enjoy your lazy time under the sun or spending coffee or tea time with stunning rice field view.